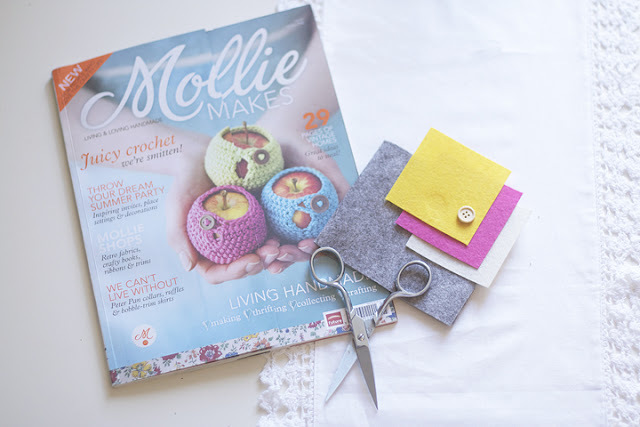 Anyone who's at all involved in the crafting community will have heard of the rather fabulous Mollie Makes magazine by now, as well as the slight challenge in finding copies! I was lucky enough to spot that myfavouritemagazines.co.uk were briefly selling off 'blemished' copies of the infamous issue 1 for just £3.50 the other week (which came with the tiniest crease on the corner no worse than would happen in your bag on the way home from the newsagents!). This weekend I paid a visit to my family in the Borders and had the pleasure of making use of my sisters desk for the evening. I think it definitely inspired my creative energy! 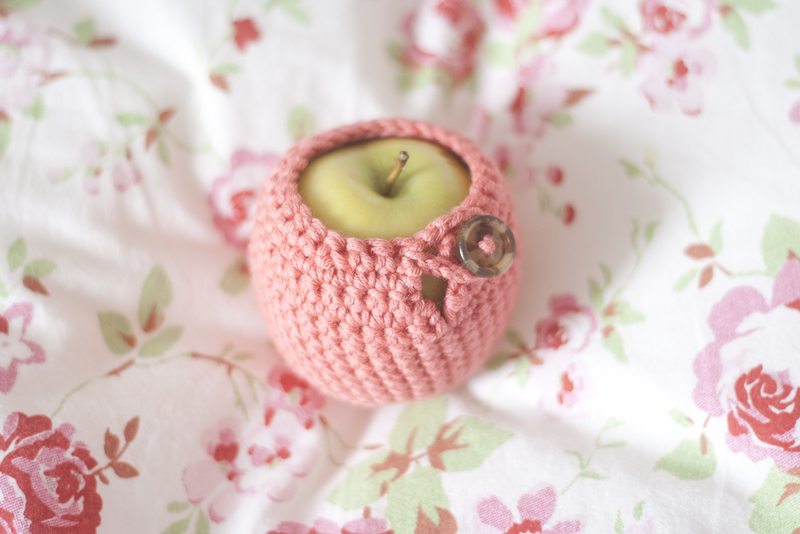 So I had a go of the very sweet crocheted apple cosy (see above). 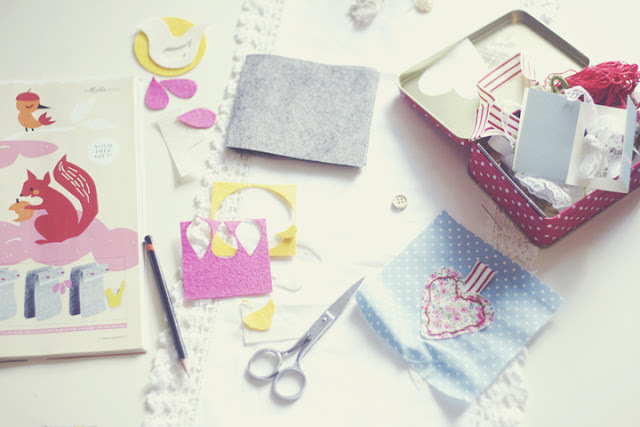 It was such a fun little pattern! I have to admit, when I first saw the pictures of the apples in their little cosies online, I thought it looked cute but was a bit daft. But they actually do serve a purpose - to keep your breaktime snack safe in your handbag on the way to work - it's actually genius! I always have an apple kicking about in the bottom of my bag getting bashed. My discount copy even came with the felt kilt to make an ipod/phone cover so I also got started making that. I already have issues 2 and 3 which I've only flipped through so far, so I'm looking forward to trying some more wee projects. I am really loving this magazine, and I think the stir it's caused online is a clear sign of how much there was a gap for a contemporary craft magazine. Can't wait to see what the future issues hold! the cushion picture turned out so wonderful, I am ashamed of my skepticism! Gorgeous apple jacket! Lucky you, I haven't been able to get my hands on a copy yet here in Australia. Hello. I´m from Austria and its very difficult to get such magazines. Is it possible to get the pattern for the apple from you?